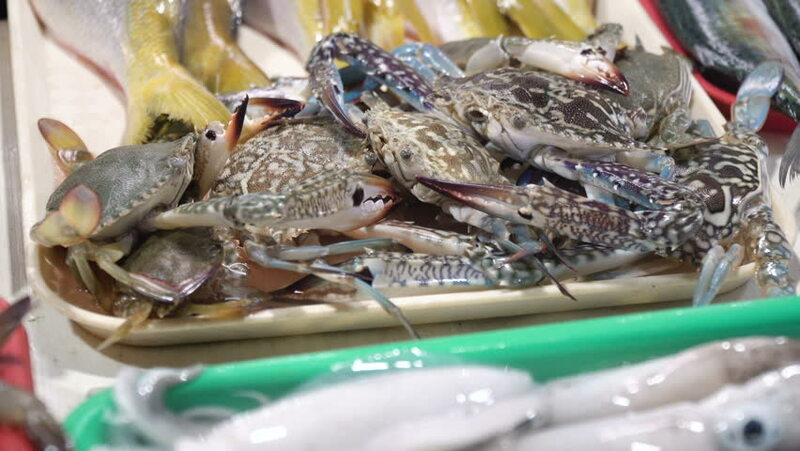 Fresh crabs in Asian market. Sale of fresh crabs fish in the Asian public store. Seafood on Market.Sea crabs lying on the shopboard at one of the street markets. 4K video, Philippines. 4k00:06Grilled Artichoke. Seasoned with olive oil, garlic, and grated parmesan cheese. Ready to eat. 4k00:05Showcase with Crayfish in the Ice of the Street Market. Showcase with exotic seafood. Sea food and fish market. Fish sold on the street. Fish market in Batumi, Georgia.